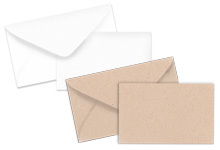 Blank White or Kraft Gift Enclosure Cards with matching envelopes. 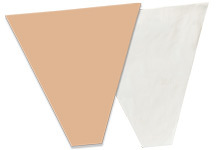 Non Woven Color Tissue looks and feels like fabric! Waxed floral tissue paper is waterproof! 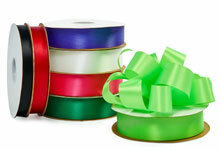 Berwick flora satin ribbon is available in many sizes and colors! Clear open and sealed bottom flower sleeves! Lots of size options! 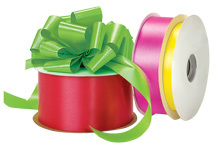 Water resistant florist ribbon in brilliant colors with a textured fabric look. Now On Sale! Simple eco friendly flower wraps and sleeves that are soft to the touch! Now On Sale! 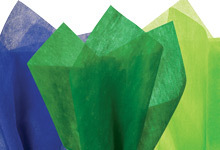 Decorative fresh flower wraps with several style options & center cut for stems. Now On Sale! 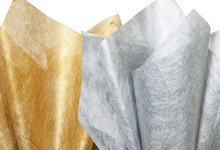 These high quality flower wraps will accent and protect flower arrangements! 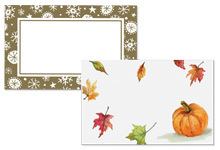 Decorative prints on easy to use open bottom flower sleeves! 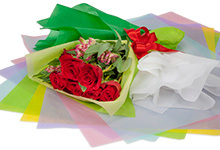 Make day to day business run a little smoother with easy to use wholesale floral supplies. 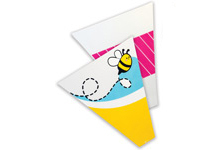 Discover our flower wrap, non-woven fiber tissue, wax tissue, bouquet sleeves, flora satin ribbon, enclosure cards, and more! Our popular crystal clear bouquet sleeves hold your beautiful flower arrangements in place while offering full visibility. The open bottom flower sleeve options allow you to make some changes to arrangements once in place and easily trim the stems. 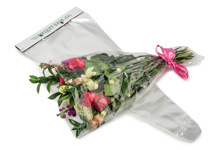 The sealed bottom flower sleeves help contain the flowers and any excess moisture within the bag. This helps keep floors dry and safe. From eco friendly mineral paper to fabric flower wraps to fancy ribbon , you are sure to find staple product to have on hand as a florist. 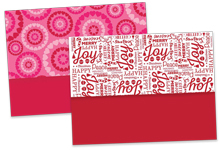 If you are not finding what you need, contact our custom print department to see if we can help.